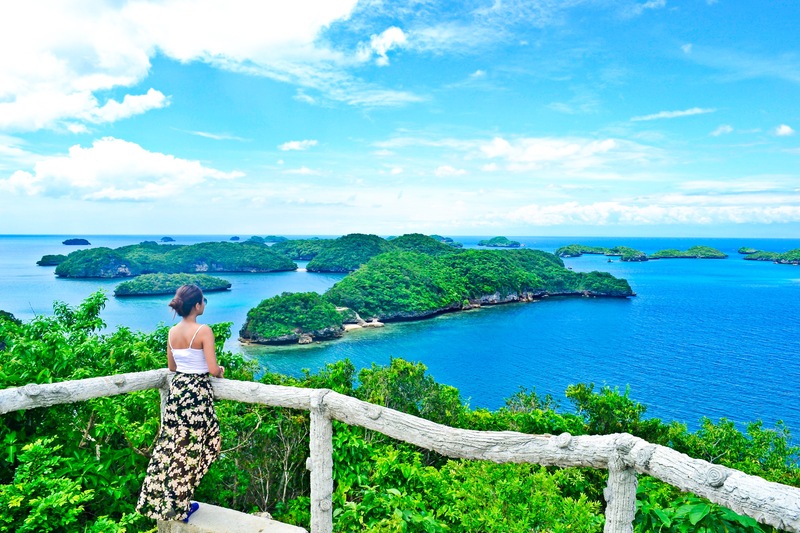 Nothing beats the uniqueness and appeal of the bountiful little islands of the national park in northern Philippines. 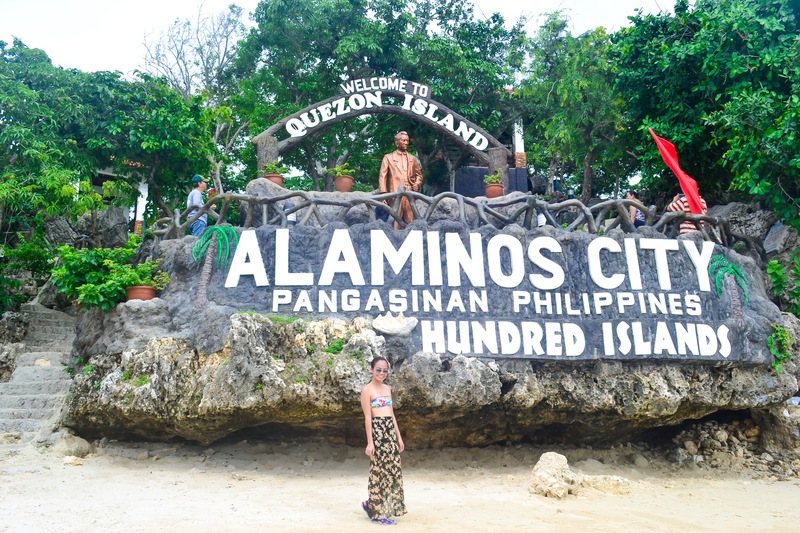 As part of the protected area of Alaminos, Pangasinan, the Hundred Islands National Park definitely conveys the message that truly “it’s more fun in the Philippines”. 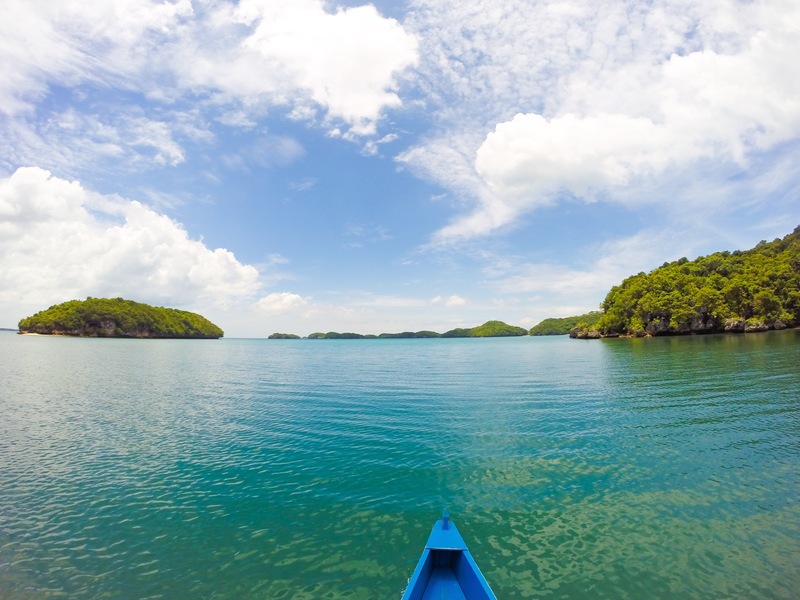 Explore the 123 islands this perfect tourist catch comprises, covering a wide area of 1,844 hectares. With so much more to see and do, the whole day would not be enough. 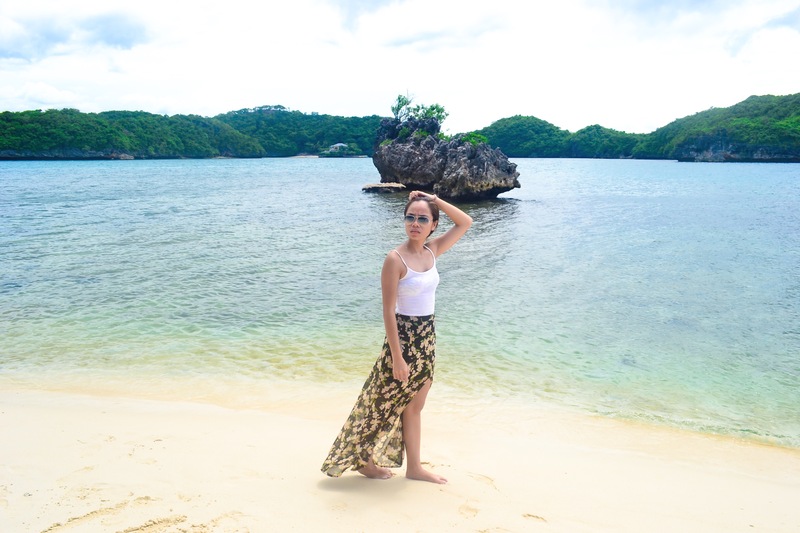 Every island has its name, some are very catchy like Devil’s Island and Kissing Island, while some are from the president’s names like Romulo’s Island and Quezon Island. Each island is very unique with different features and characteristics and I guess every tourist will have their own favorites. 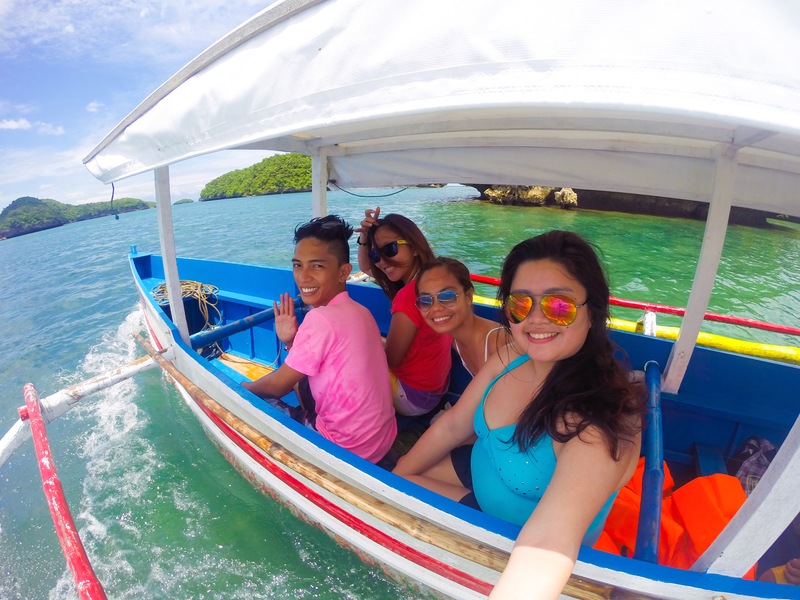 We were traveling from Bolinao to Alaminos and it took us about 40 minutes to get there. Thankfully, we found a van which with charming negotiations, it took us straight to the Lucap Wharf. 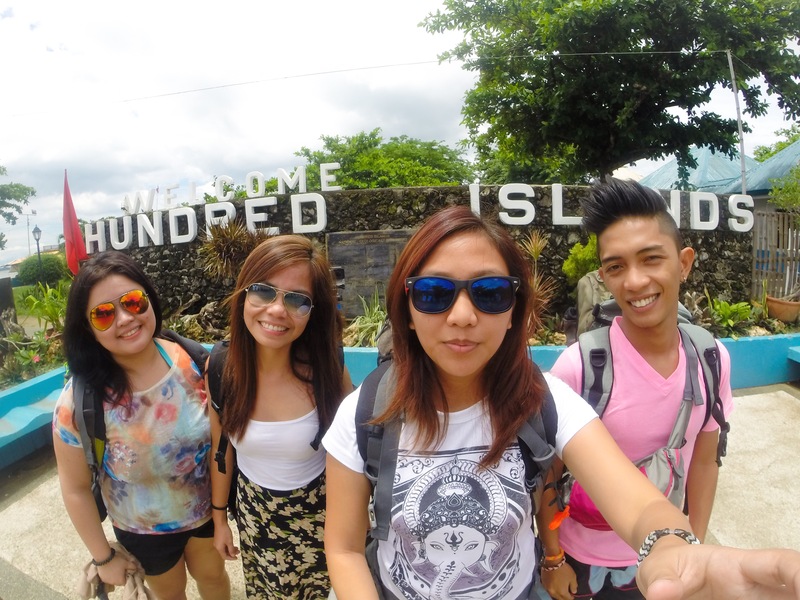 We wasted no more time since we already left Bolinao a little late. 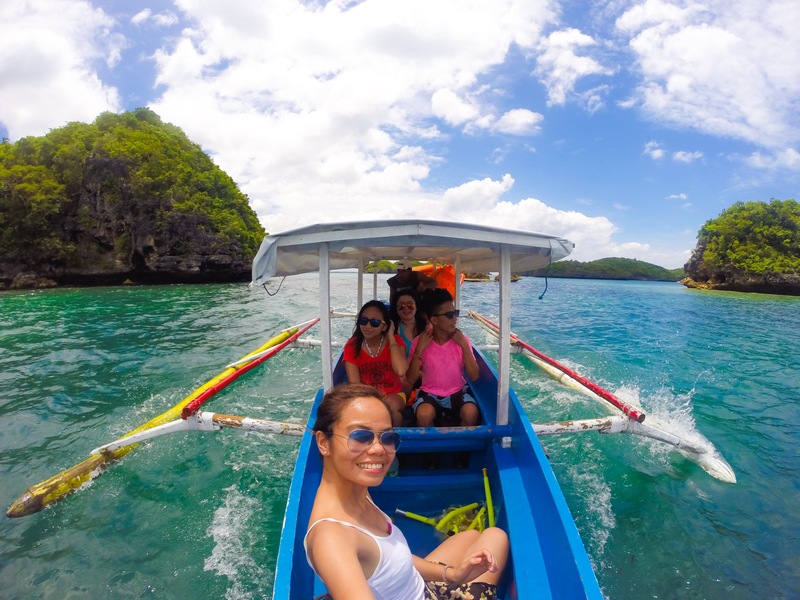 We then registered for the private boat as you can visit all the islands instead of getting the day tour in which you can only check the three main islands: Quezon, Children’s and Governor’s Islands. 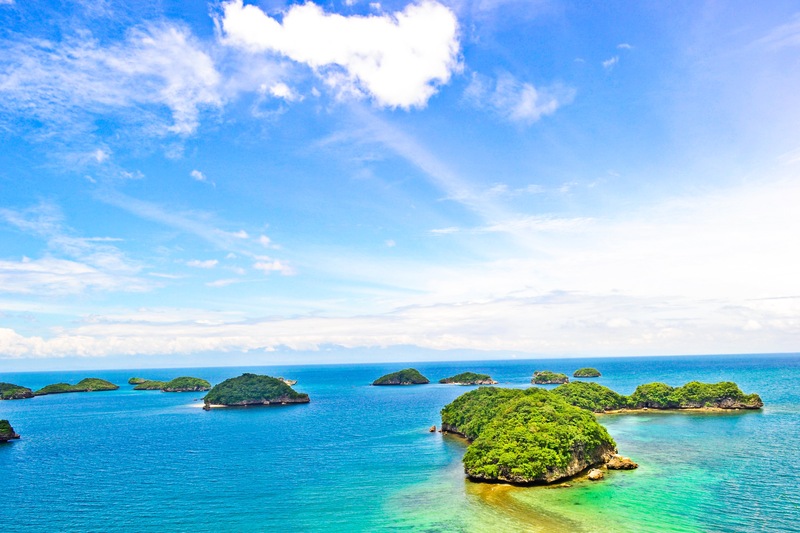 In the latter, you only get to see the two islands for 20 minutes and you get to stay at the Quezon Island but you have to provide your desired pick up time. We paid for all the fees at their registration office located at Lucap Wharf. There are food stalls located outside so we bought some goodies for our island hopping. 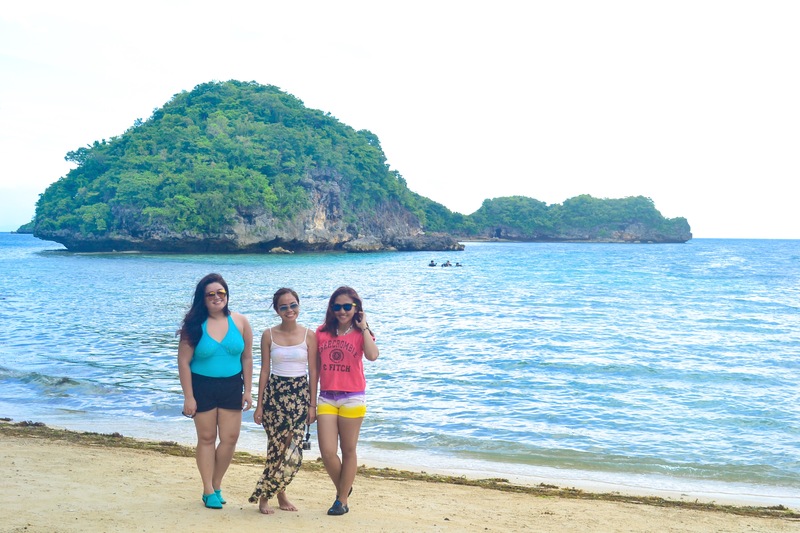 It was almost lunch so we had to hurry to be able to explore the islands. 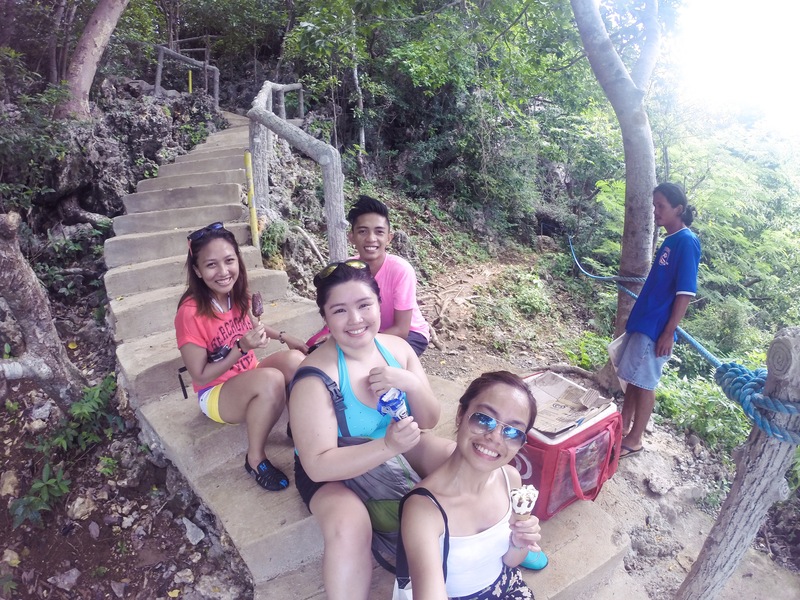 With the scorching heat of the sun and despite the storm forecasts, it was definitely a great day ahead. First on our itinerary was the Governor’s Island. 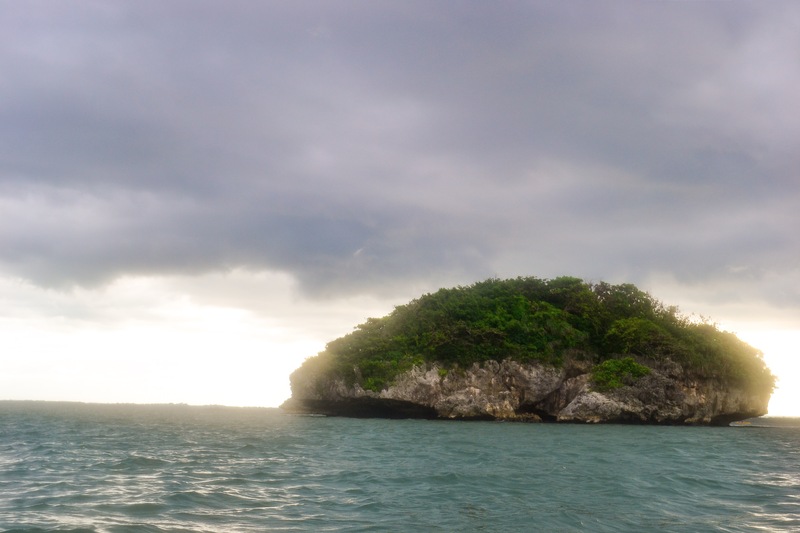 This is one of the developed islands of the national park. 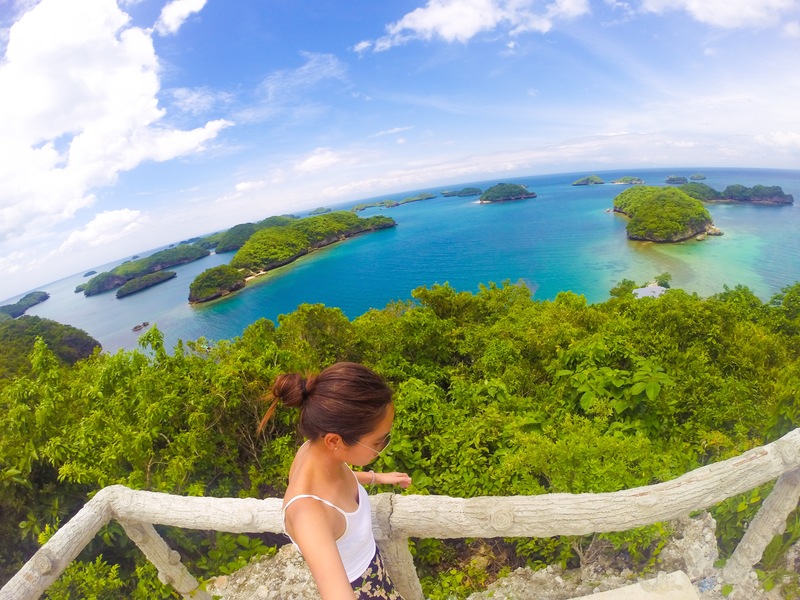 Climbing a two hundred-step staircase, you get to see the bird’s-eye view of the enthralling islets adjacent to each other showing off a decadent scenery. 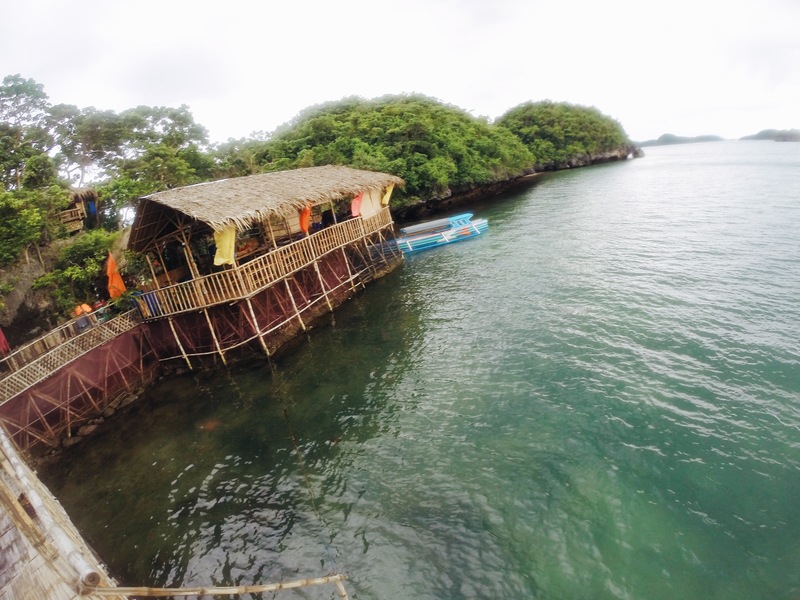 On the other side of the island is a medium sized guest house called “Bahay ni Kuya”. 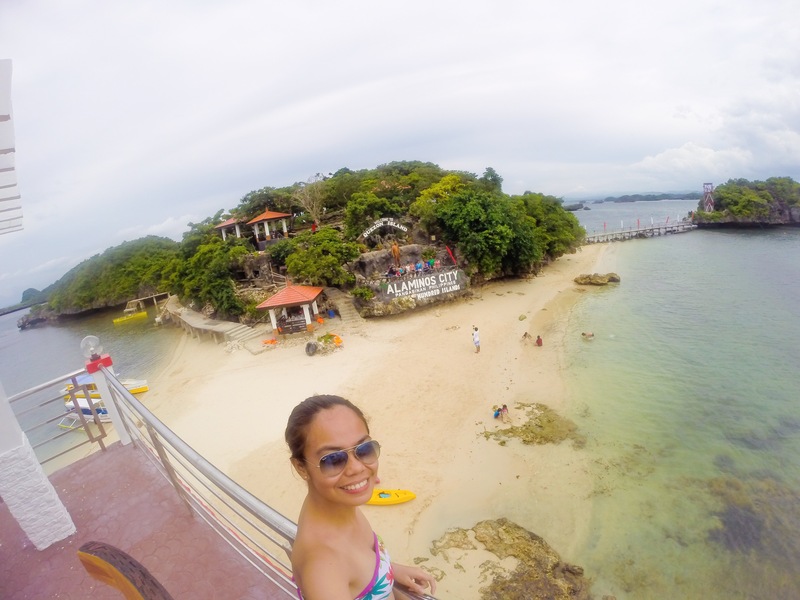 As an added attraction, this was featured in the famed show, Pinoy Big Brother Teen Edition. There is also a viewing deck on the far end of the house, wherein you can see a good background of the islets bordering it. 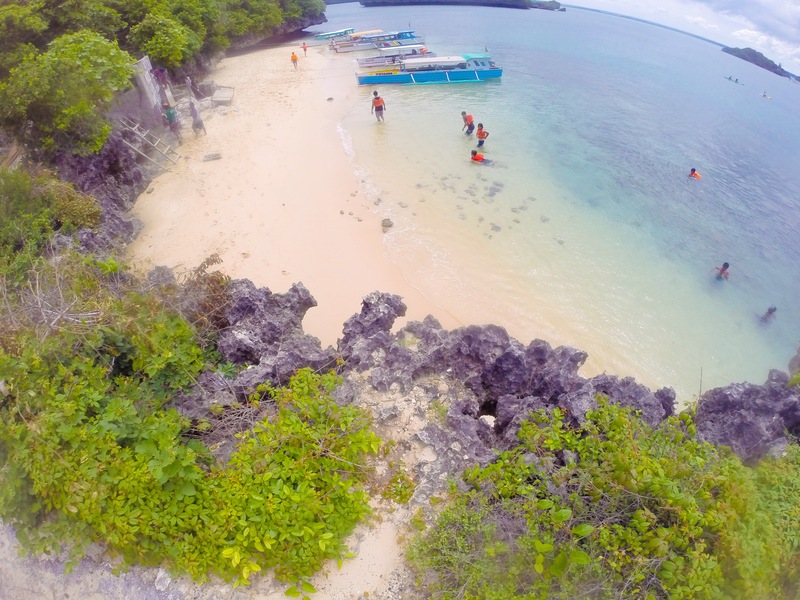 On the middle of the island is a small and white sandbar which serves as the docking area. 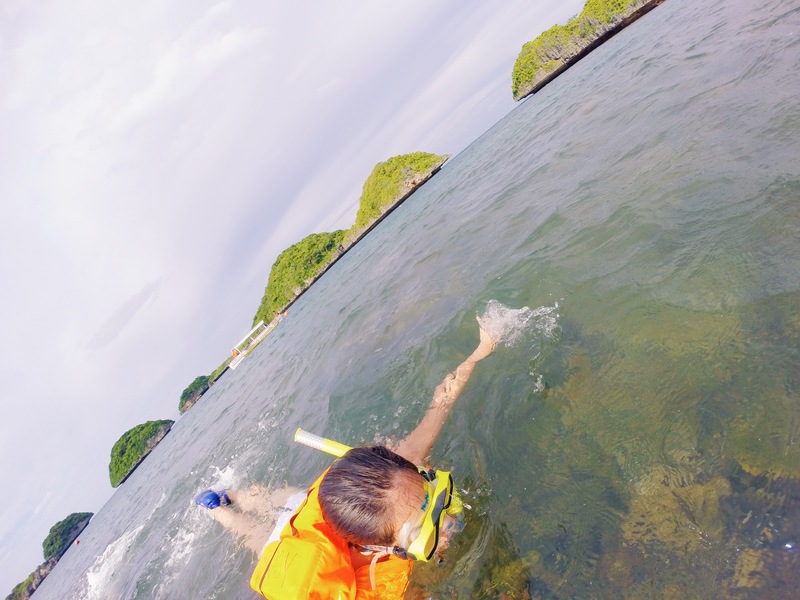 We also found numerous scuba divers exploring on the opposite side of the island. 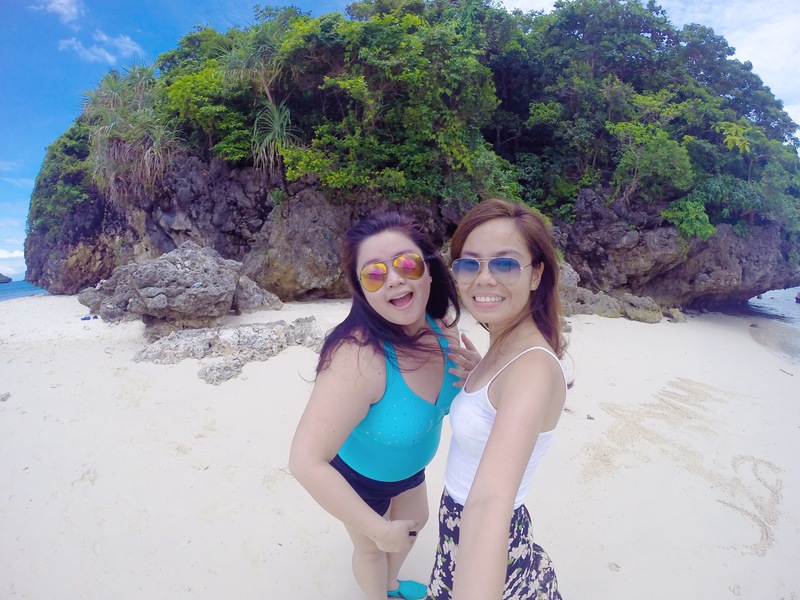 The most beautiful islet with the whitest and finest sand has enticed us to make a stop over. 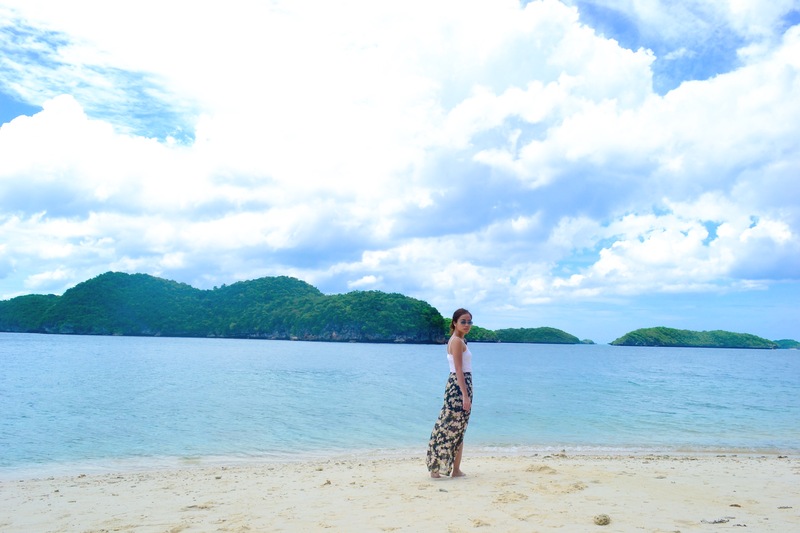 It was so irresistible as it can be likened to White Beach, Boracay. 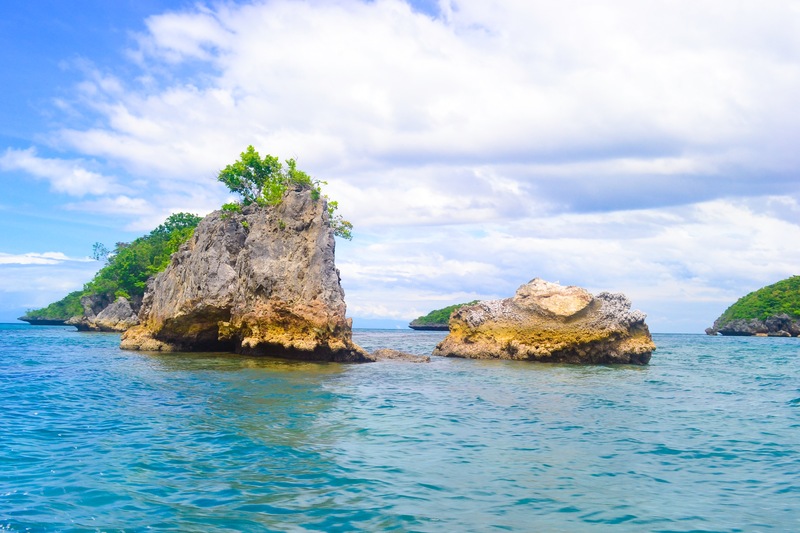 Even with its small size, the rugged terrains and coralline development perfectly placed at the center of the island give off a natural vibe. 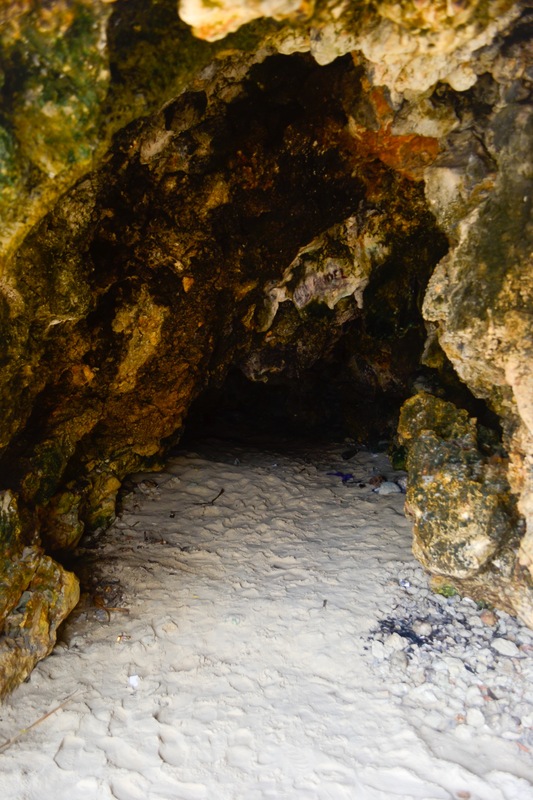 The opaline powdery sand comprises the beach circling a small cave under the stony contour. 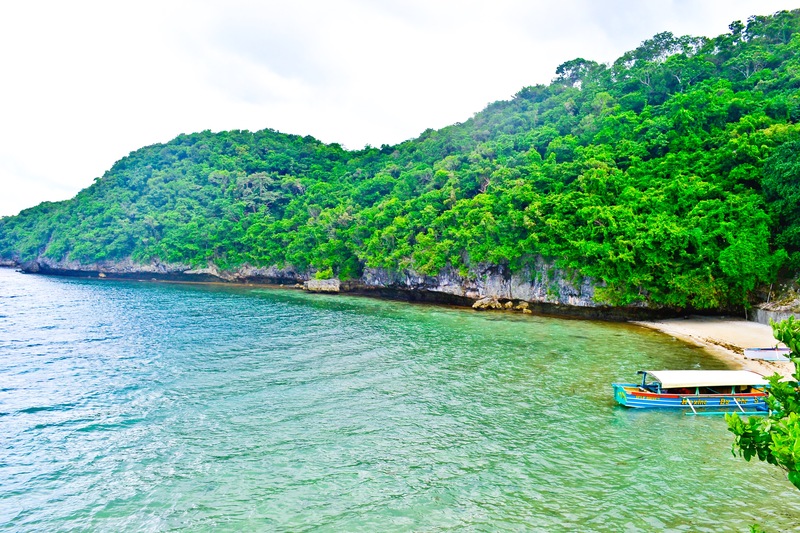 When we docked at this gorgeous shoreline, the water was so inviting. 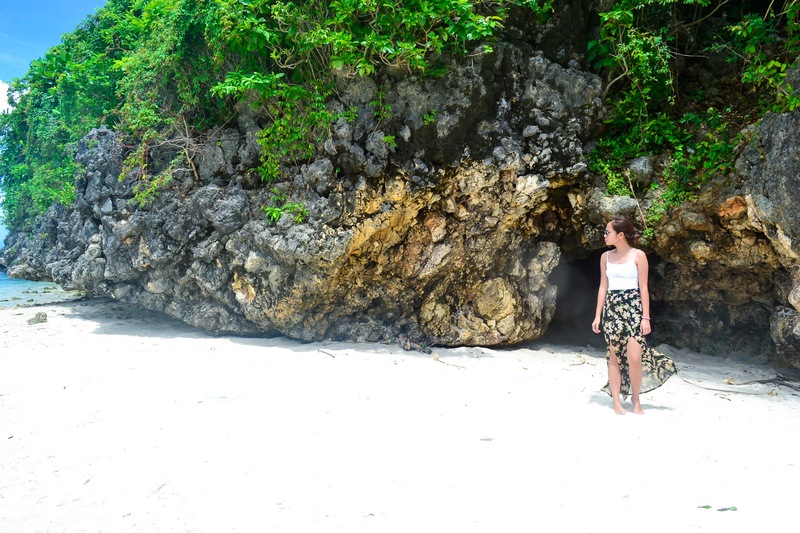 As usual, the white sand was always my weakness and it contrasted the beryl water of the beach. We climbed our way to the top of the island and we noticed the workers developing the pathway. It was an easier ascent compared to the Governor’s Island. 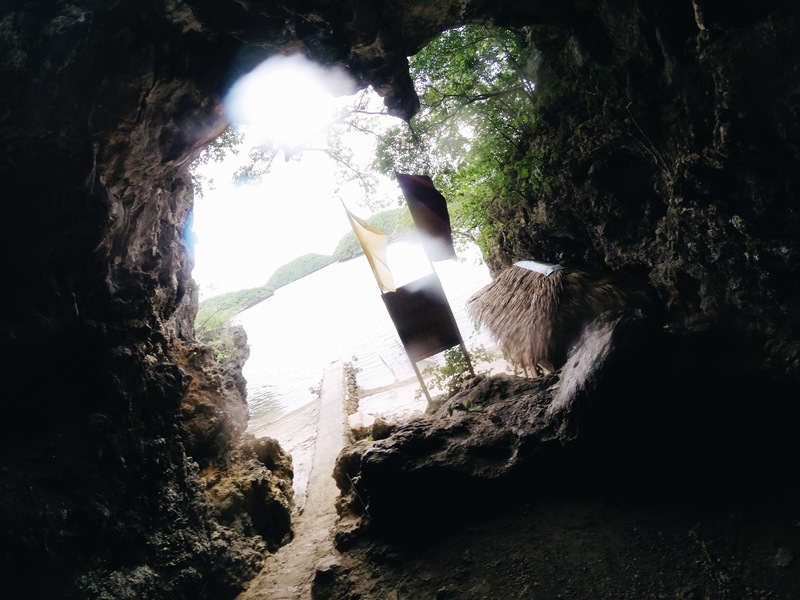 At the end of the path is a big hole which serves as an entrance to Imelda’s Cave. Descending to about ten steps is a point for cliff jumping. Depending on the water level, you can jump from as high as twenty feet. 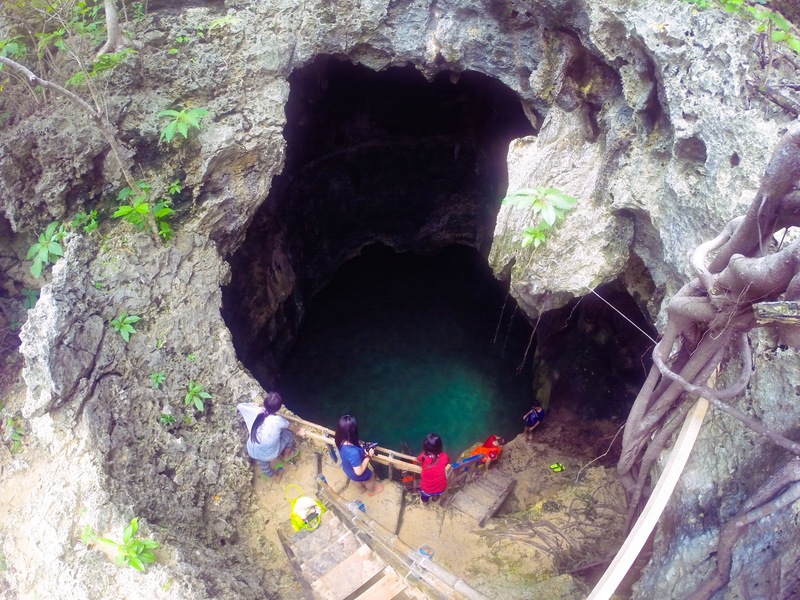 On the average, the jump off point rests up to twelve feet and the water about six to eight meters deep. 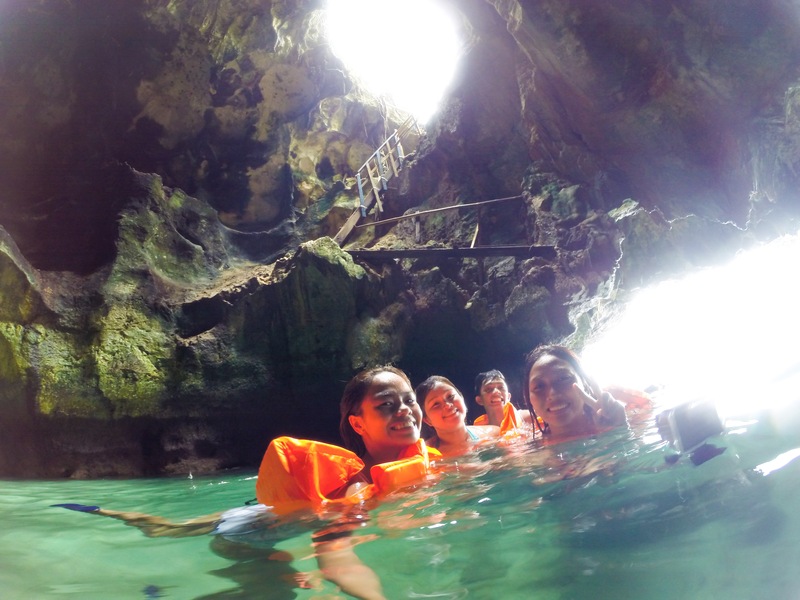 After jumping, you can snorkel your way out to the opening of the cave, swim to the open sea and back to the shore. 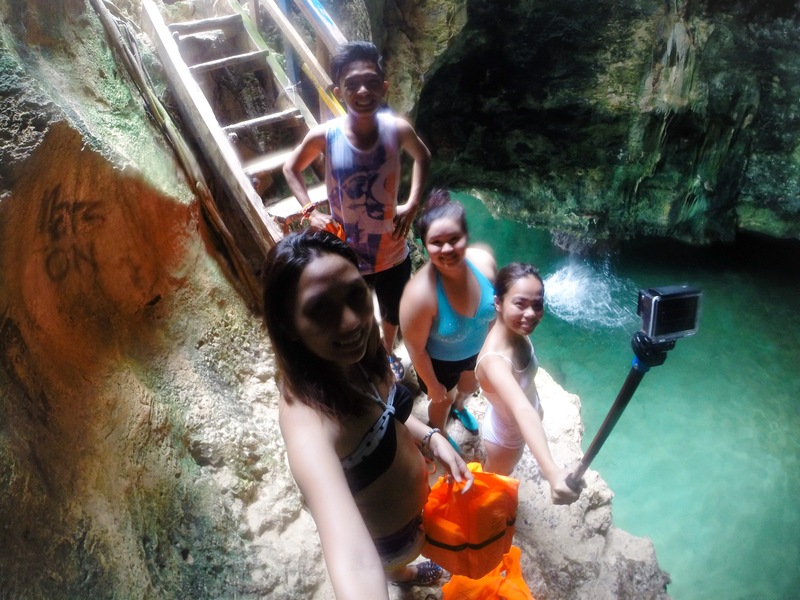 It took us almost forever to jump. 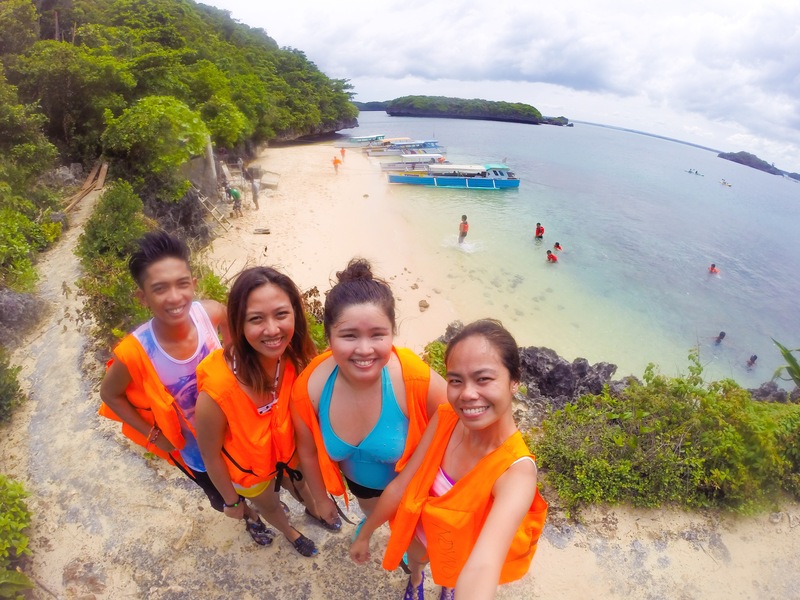 Although it’s quite low for a cliff jump point, it was our first time so were so apprehensive. After having enough courage to do it, it was such a rush so we decided to do it again to make a video. We were just so hooked. 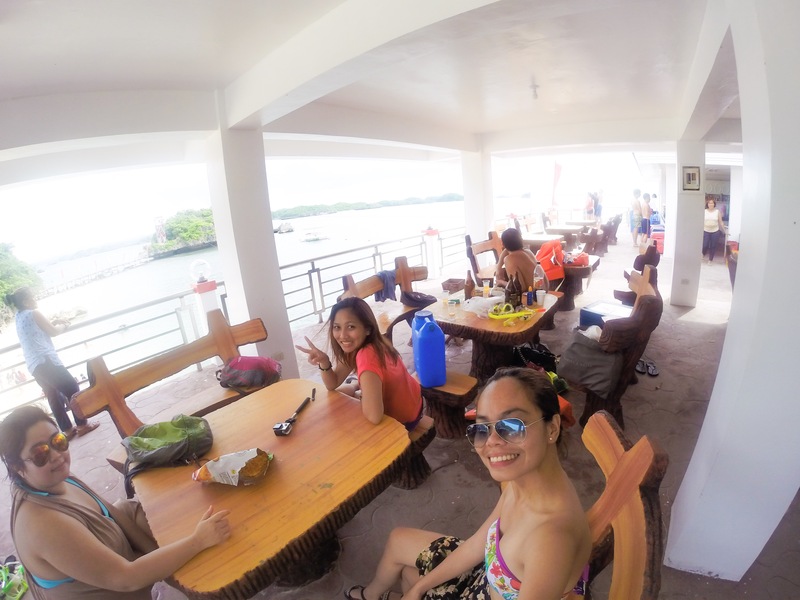 We were already starving so we decided to head to Quezon Island which serves as a recreational center where you can enjoy kayaking, rapelling, wall climbing, snorkeling, play volleyball and frisbee. 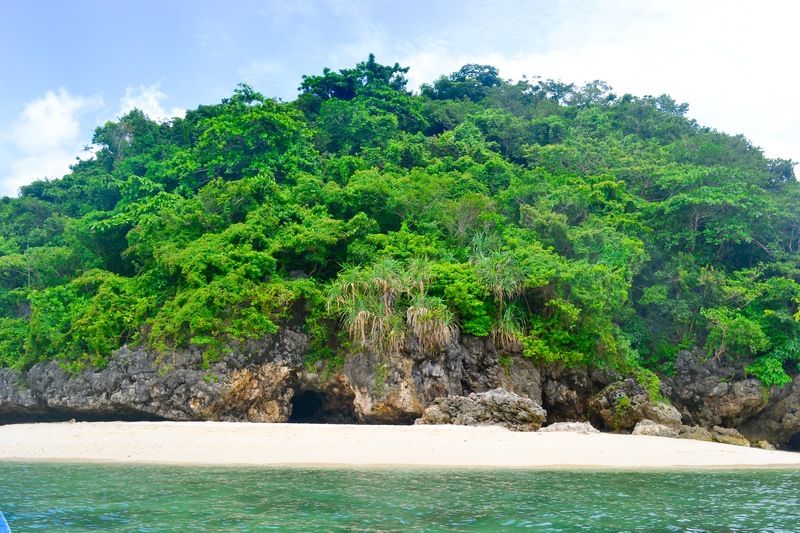 It is one of the developed islands in the national park. 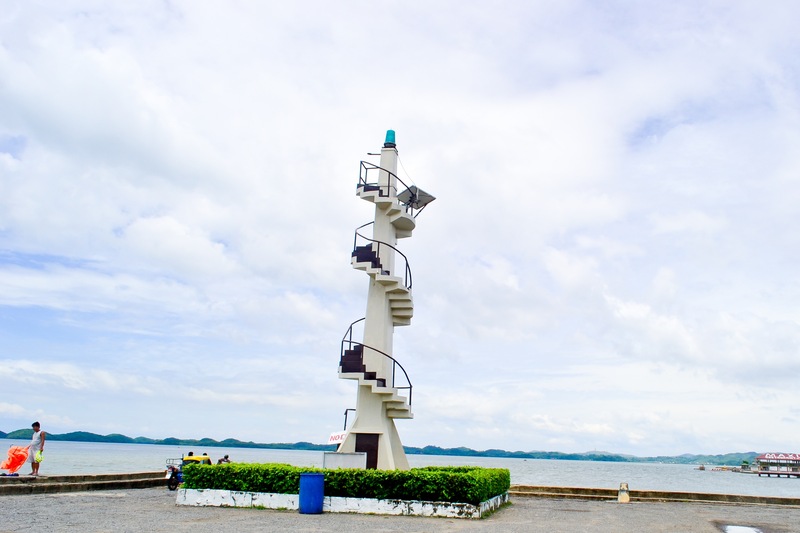 Welcoming you is a three storey high open building which serves as a docking point in the first floor. The main restaurant can be found on the second floor wherein they serve simple courses. 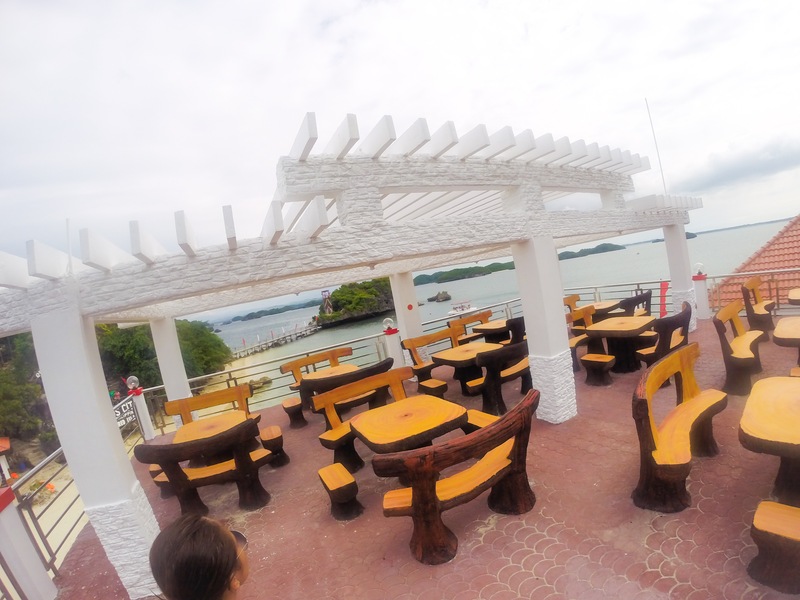 On the third floor, there is an extension of their restaurant and you get a scenic view of the island. Moreover, the open building serves as an areal platform for a zip line course connected to the manmade bridge. 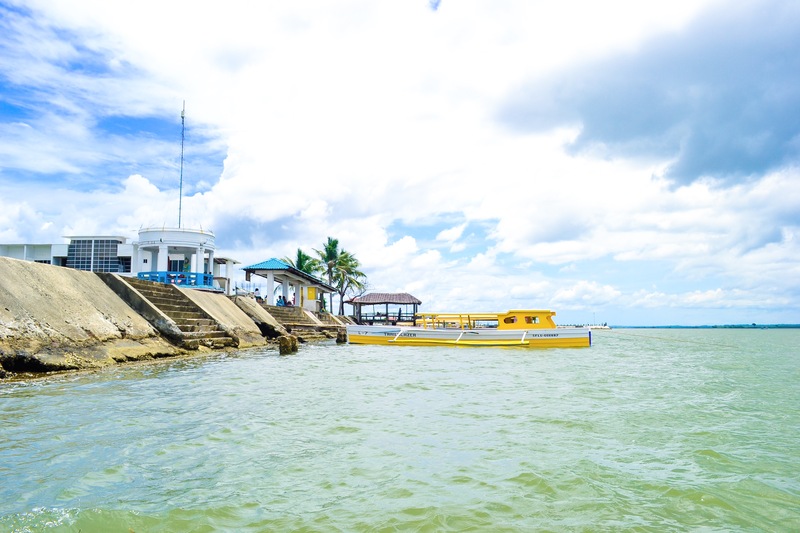 If you want to spend the night there, you can either camp and rent a tent or cottages are also available at a cheap price of about 2500 pesos. 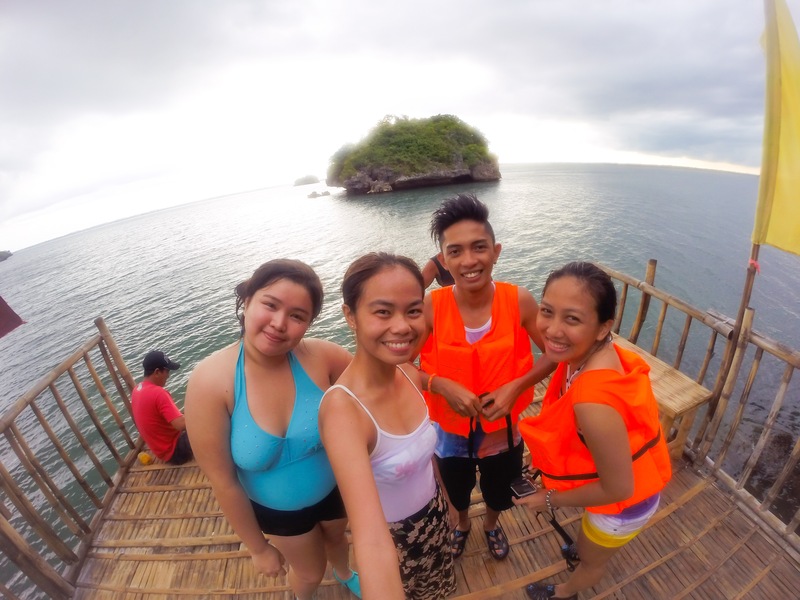 Our boatman brought us to the spot for snorkeling just near Quezon Island. It was late in the afternoon and the waves were getting stronger. The boat just docked on the side of the area as it would be difficult for them to transfer on the inner range. 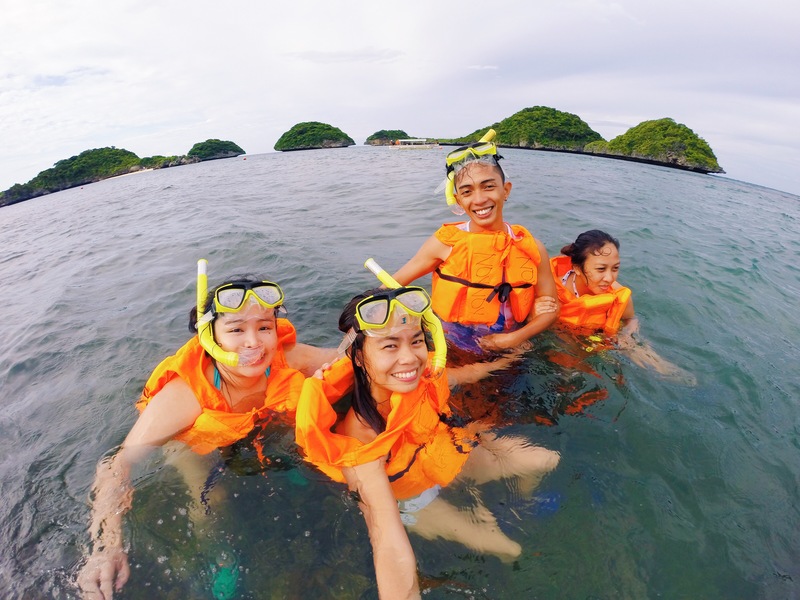 We secured our life vest because the water level is higher on some parts of the sea. 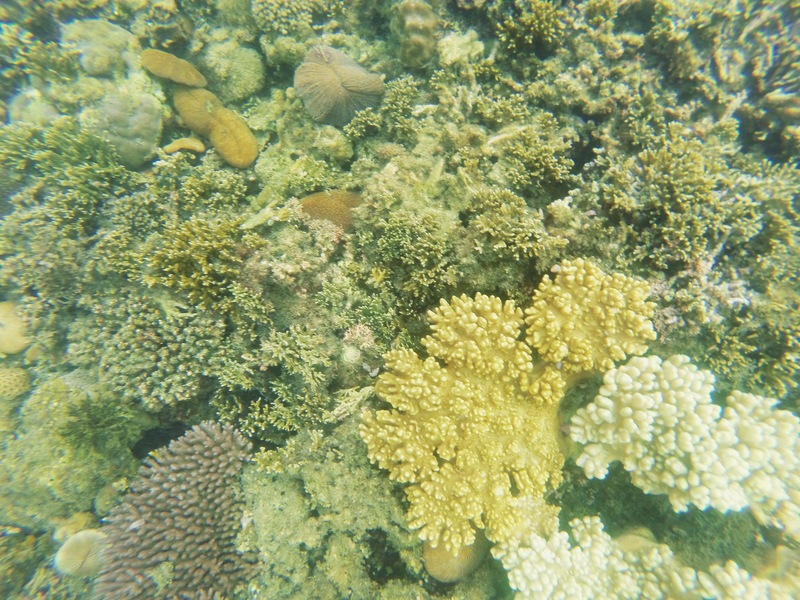 It was a joy to snorkel on one of the most treasured marine life. 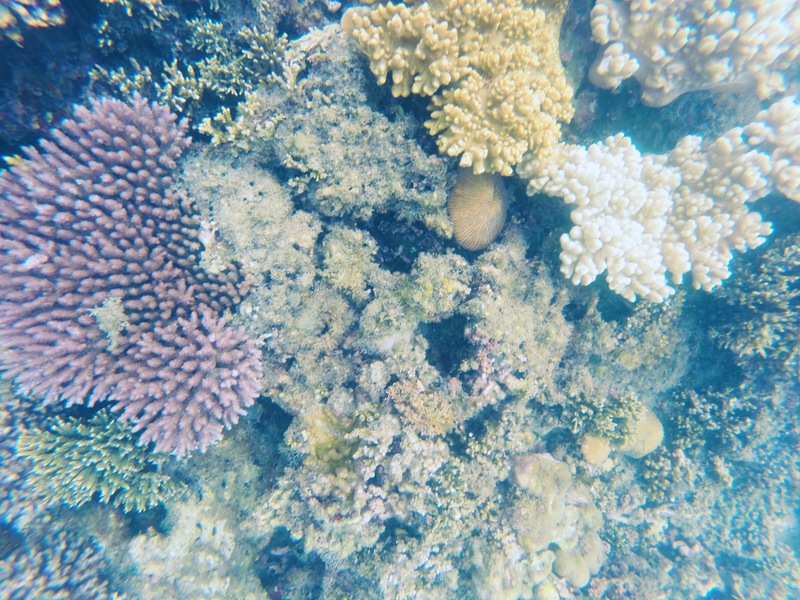 I just hope that we could have found a better spot for snorkeling with a high water level so that we can prevent on touching or stepping on the corals because it takes hundreds of years for some to grow just an inch. 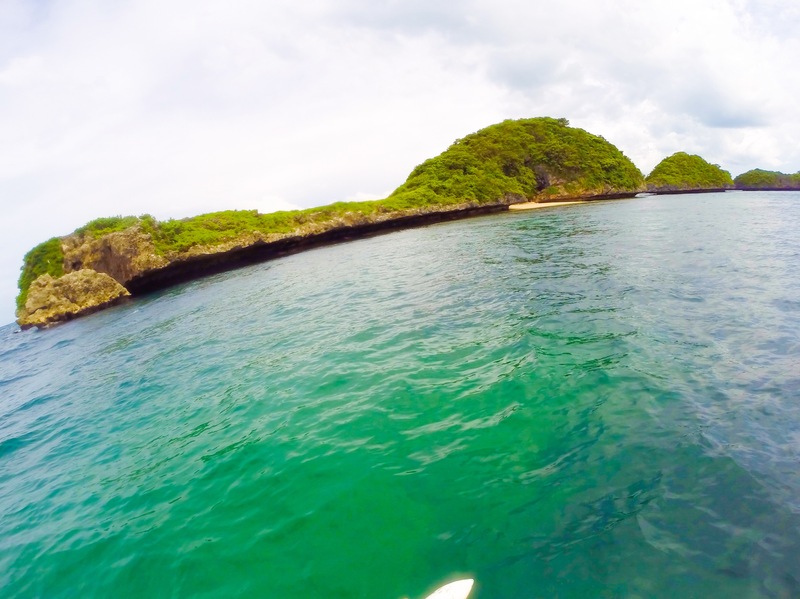 It was almost sunset so we decided to make our last stop on Cuenco Island. 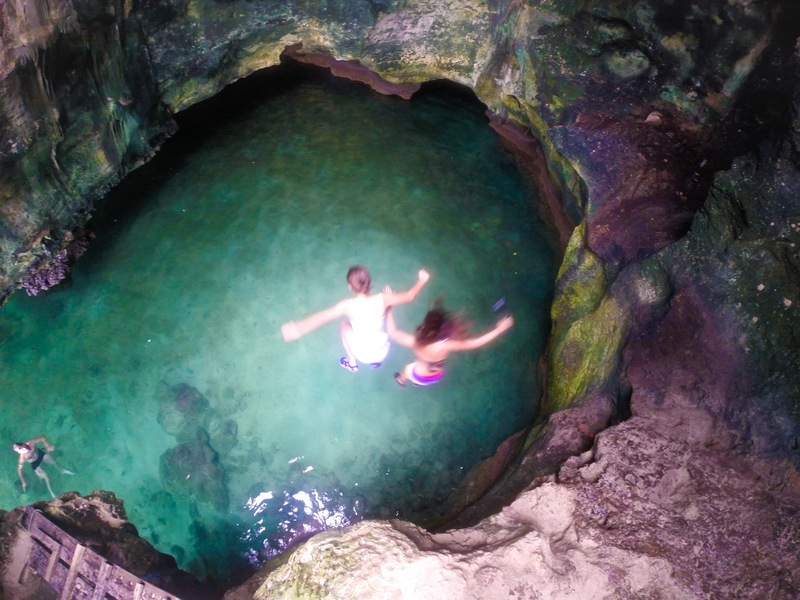 What makes this uncommon is that it has a cave shaped like a tunnel. 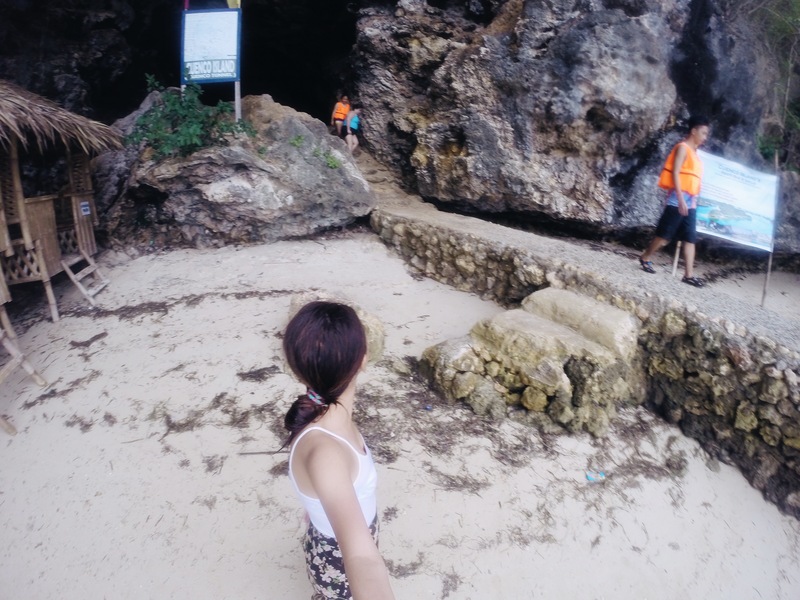 With interesting limestone formations, there are two beaches in opposite sides. 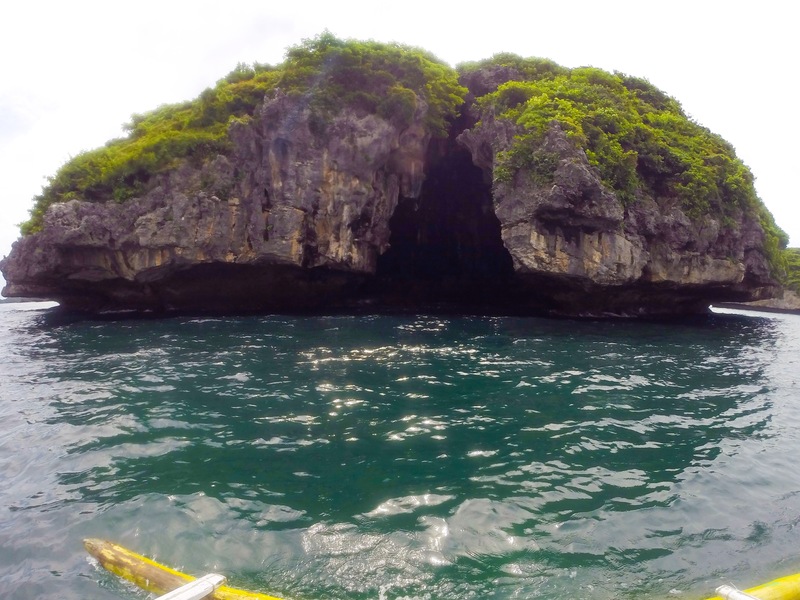 In the near end is a white sand beach where the boats dock and serve as the entrance to the cave. 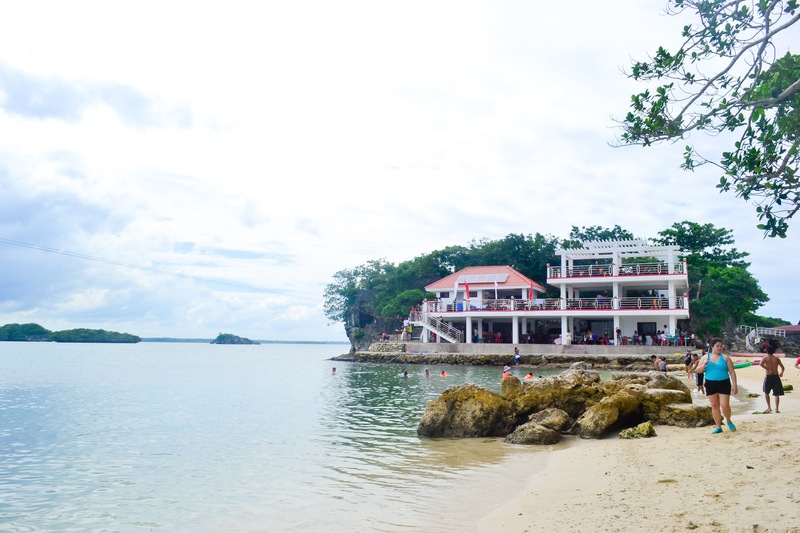 As you continue in the far end, the opening becomes narrower connecting to the restaurant by the beach. On our way back to the Lucap Wharf, we pass by the island. Well, it’s home to where the island was named from, bats. It was impossible to dock since there is no beach area so we just admired the uniqueness from the boat. 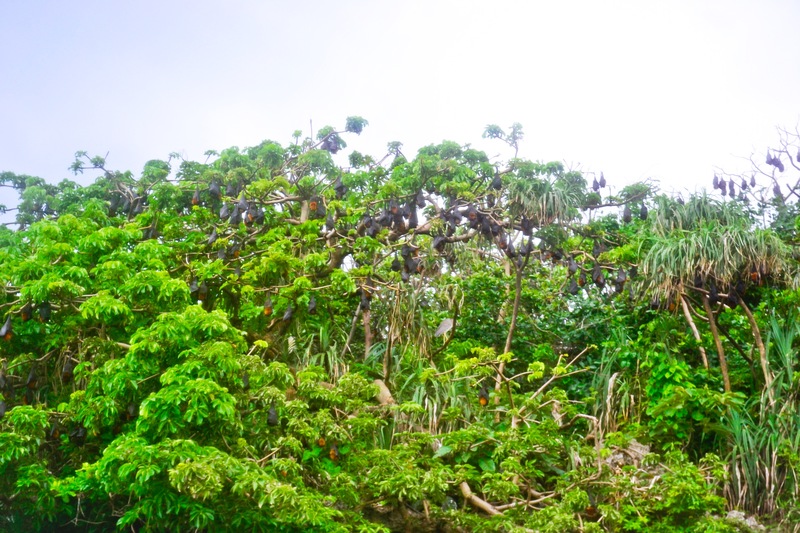 The island is filled with bats hanging from the trees on top of the island. When we arrived back to mainland, we bought pasalubong and took a shower on their public restroom. We were in a hurry to catch a trip back and thankfully, we were able to ride the bus back to Manila just in great time. 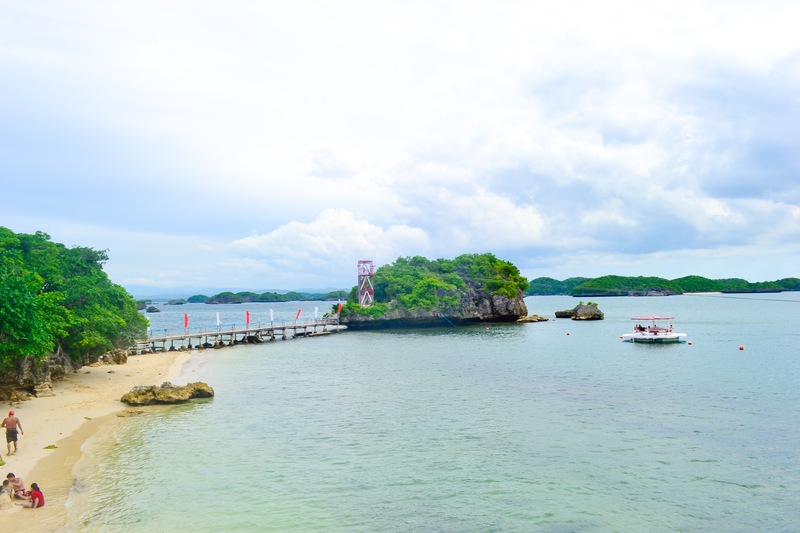 Truly, the Hundred Islands National Park can be listed on one of the best tourist spots in the country as it offers a variety of activities for people of different age groups. It is indeed for everyone. 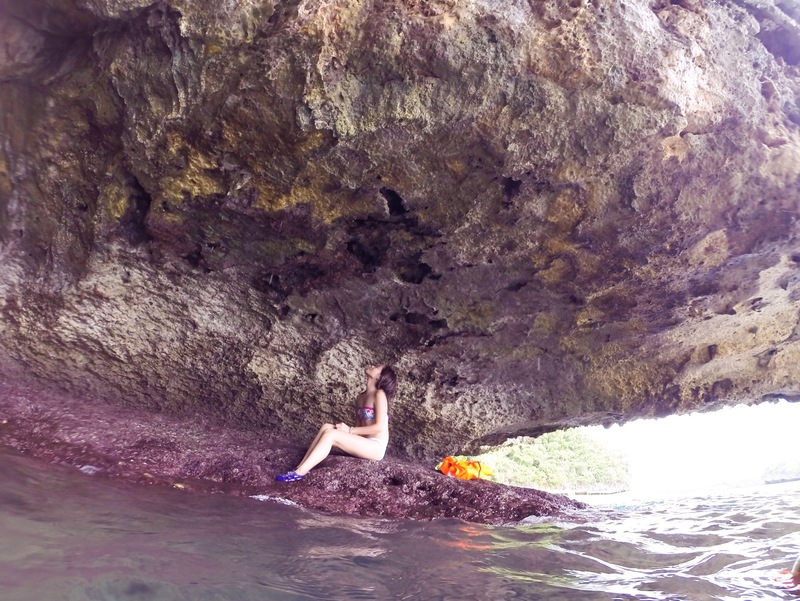 It was definitely one of the best experiences I’ve had and the scenery it offers is just hands down impeccable. 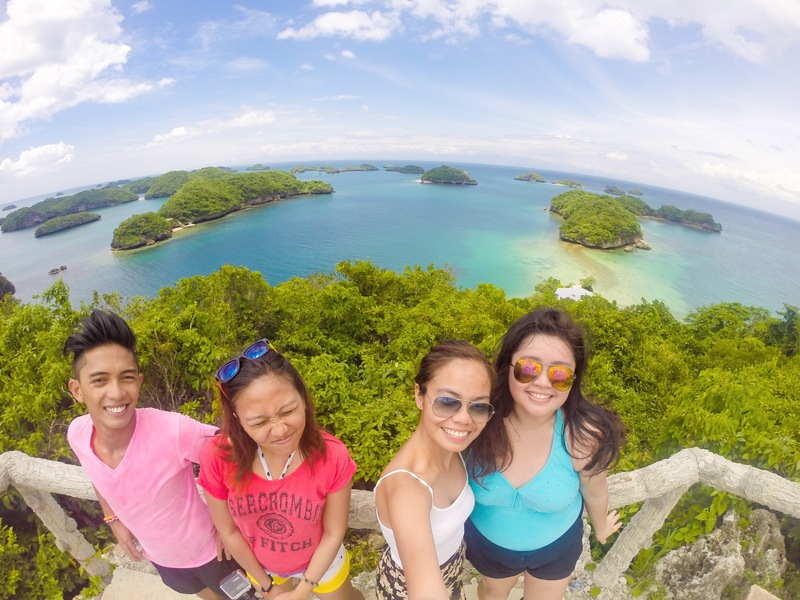 So if you are in Manila and you’re in for a great adventure, check out Hundred Islands in Pangasinan. 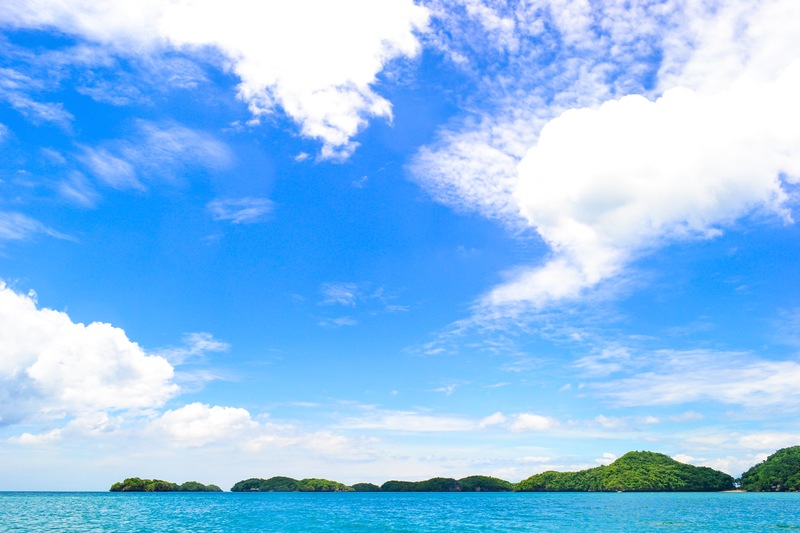 If you want to explore the whole national park, prefer getting a private boat instead of the day tour service boat which only visits the three main islands. 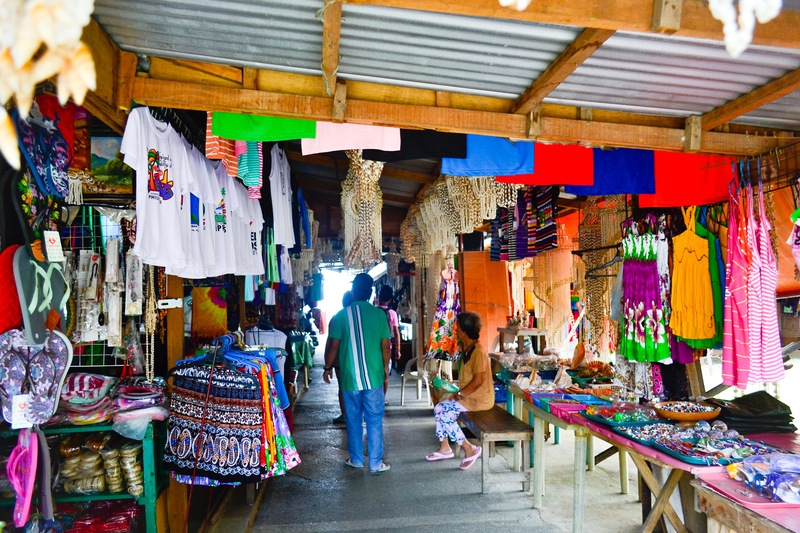 Buy food and bottled drinks at the vendors situated at the Lucap Wharf since it is more expensive at the islands. 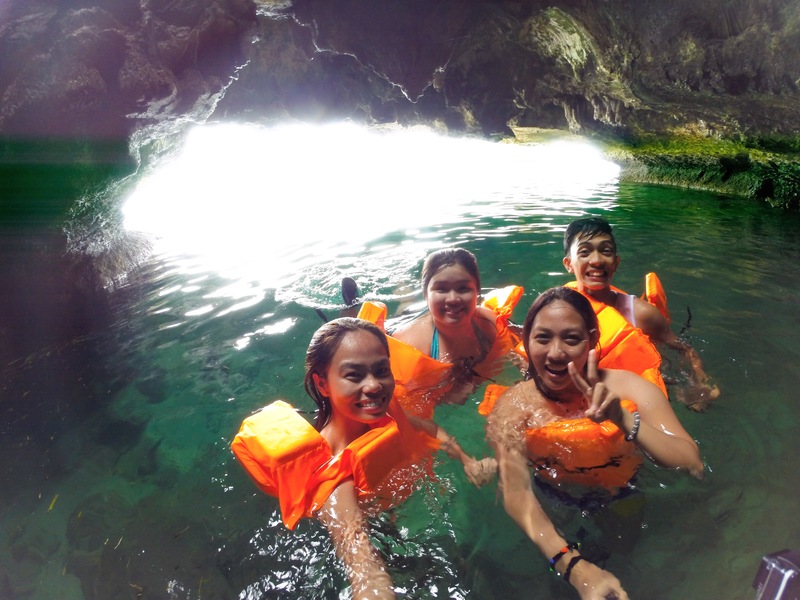 Leave as early as 12 midnight from Manila if you’re only good for a day tour to get the most out of your travel. Public restroom and shower are available next to the tourism office. Snorkeling gears are available for rent. 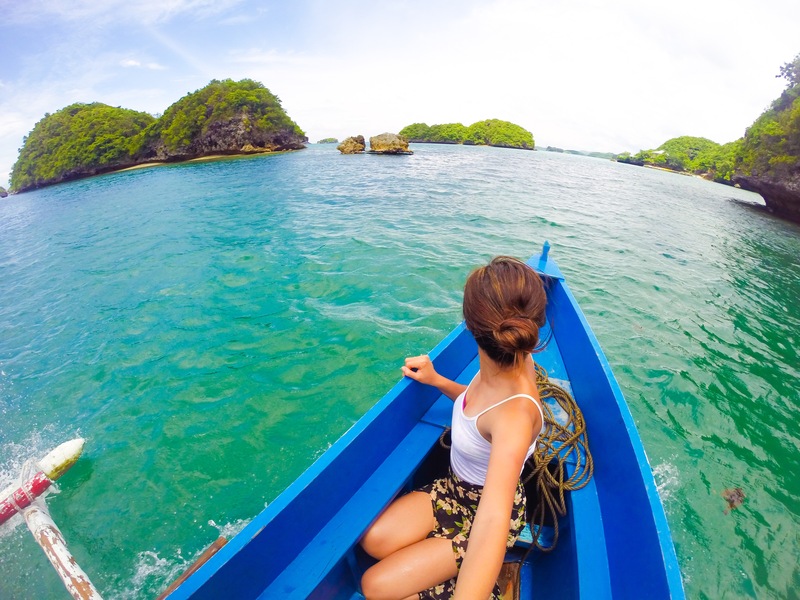 Only rent a boat from the Lucap Tourism Office for standardized rates and for safety and security. May I know how/where you booked your private boat so you could visit the other islands? We were initially thinking of registering at the Tourism office but would like to visit a few of the other islands apart from the 3 major islands. 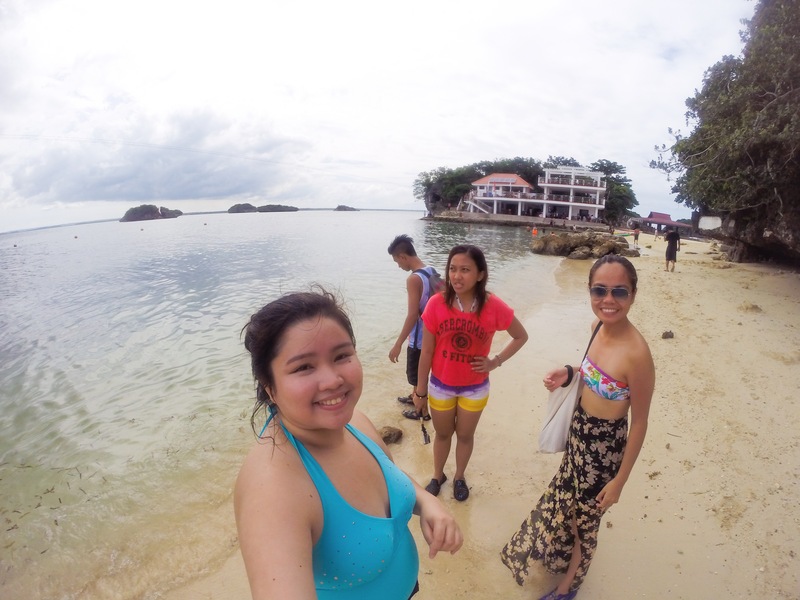 totoo ba yng rumors na makati ang dagat sa hundred islands and madami daw lamok? kasi nagpaplan yung companynamin na pumunta dyan pero may nagsabing makati daw ang tubig at madaming lamok. can someone answer my question plsss thank you so much!